The Stack-On Strong Box Safe with Electronic Lock has an extra wide opening for storage of lap top computers and other valuables. 2 live action locking bolts and concealed hinges provide greater security. 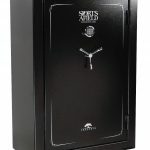 The safe has a solid steel, pry resistant plate steel door. 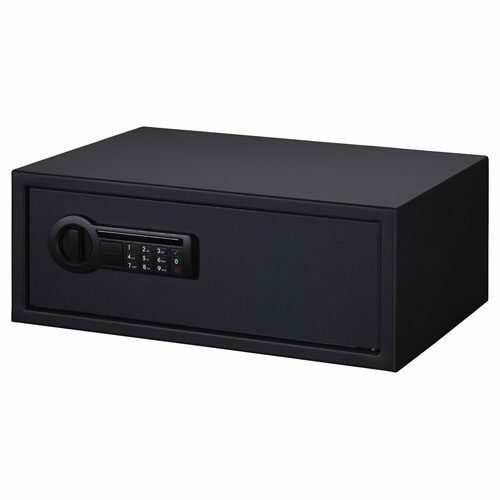 The Stack-On Strong Box Safe with Electronic Lock has an extra wide opening for storage of lap top computers and other valuables. 2 live action locking bolts and concealed hinges provide greater security. 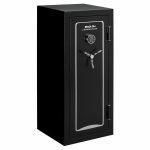 The safe has a solid steel, pry resistant plate steel door. The electronic lock can easily be programmed by the user with a “Safety Key” override. There is also a time out period with 3 incorrect combination attempts. Safe has pre-drilled holes for mounting to floor or shelf. Fastening hardware is included. Egg-crate foam padding in the bottom of this safe helps protect delicate equipment. Great addition to a college dorm room to secure a laptop computer, IPOD, MP3 player, digital camera, credit cards, cash and more. Can be attached to a bed frame or other furniture with a cable lock through the pre-drilled fastening holes in the back of the safe, if the safe can not be bolted to a shelf or the floor. 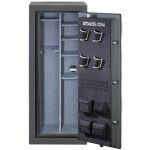 Be the first to review “Stack-On Personal Safe Extra Wide with Electronic Lock” Click here to cancel reply.